IN THIS EDITION: New tools from Mercaris to give you cutting edge information and market access. View this email in your browser. 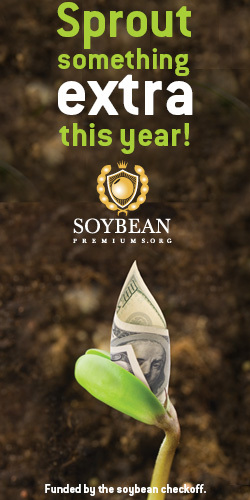 While many of you have been at work planting or planning for the year ahead, we’ve been busy building additional data and analysis reports and marketing programs to support your organizations. Take a look at some new tools to make sure you have cutting edge information and market access. Quickly see what is happening in the domestic organic marketplace with the MOGI Report. Login today to see it on your dashboard (updated weekly). Interested in finding new markets for your transitional crops? Check out the Mercaris Link program designed specifically for transitional growers. The goal of Link is to help growers in transition to organic certification fetch a premium for their crops while building relationships with buyers for when they come out of transition. This, along with the recently announced USDA transitional label, will help support growers in transition! Click here for more information. You asked and we listened! The Mercaris Facilities Asset map will soon also list oilseed refining facilities in North America in addition to grain handling facilities. Need to know key information on sunflower, canola or soybean oil facilities? For more information on the asset map expansion or to learn more about this geospatial tool, please contact Alex Heilman. Mercaris is now reporting prices and market data on edible dried beans. Handlers of black/turtle beans, pinto, white kidney, dark red kidney, garbanzo, great northern, light red kidney, pea, pink or small red beans that participate in the Mercaris Market Survey will be given access to market data and reports at no cost. Please reach out to us today for more information, or for a web demo, or visit www.mercaris.com/sp for more information! Mercaris will soon be publishing its own estimate to 2016 organic crop acreage to give you an early look at organic supply! We will provide estimates to organic acres in total and across 17 crops at the national and state level. 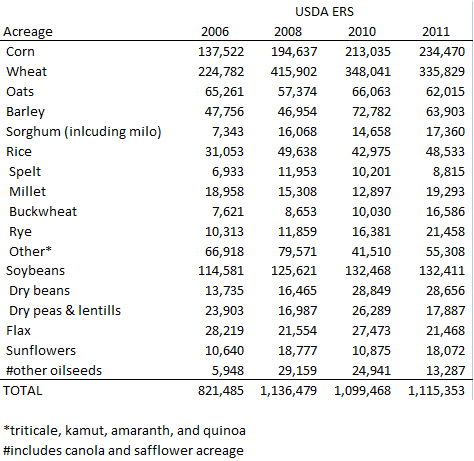 See the table below for a preview of the crops we will cover.